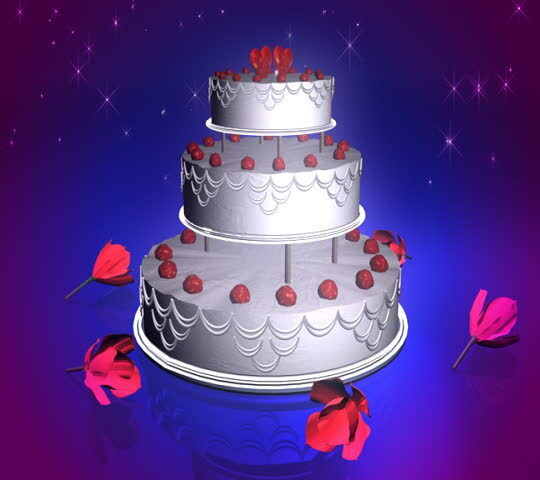 hd00:103d rendering beautiful and romantic wedding looped cartoon animation. 3 tier cake covered with marzipan. Cute groom and bride figurines. Bokeh light effect background.